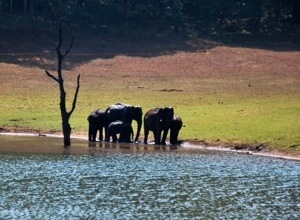 Twoandahalfweeks in India – elephants and an unreal world – Go India, go future! 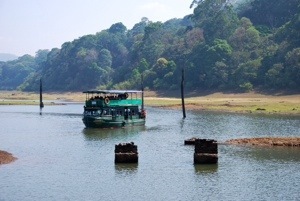 Another impressive moment of our journey was much more touristic, but nevertheless I do not want to miss it: the visit at the Periyar National Park, one of the most visited animal protection zones of Southern India. 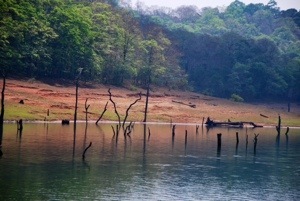 It is notable as an elephant and tiger reserve. 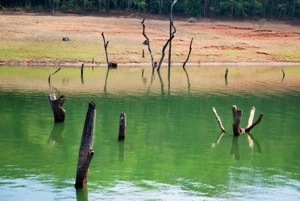 In between there is huge artificial lake that has been constructed several years ago embedded in a fascinating landscape with all thinkable green, brown and yellow earth colours. 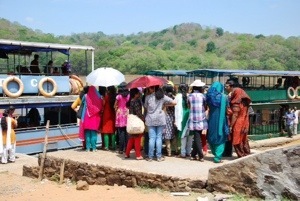 We plan to have a boat tour. 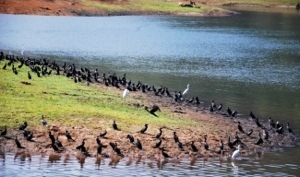 However, there is also the possibility to have a guided trekking tour. 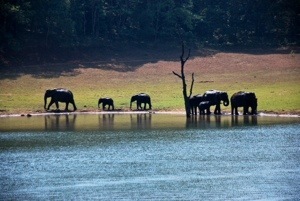 It makes sense to arrive early in the morning – the chance to see the animals is much higher. 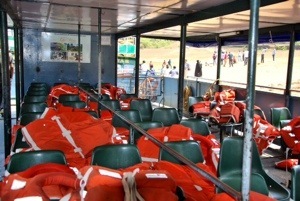 On all three boats it is mandatory to put life saving vests during the tour, and in the middle there is a barrier that hinder people to rush all to one side when an animal appears .